A black and white palette is a classy choice when it comes to styling a party. 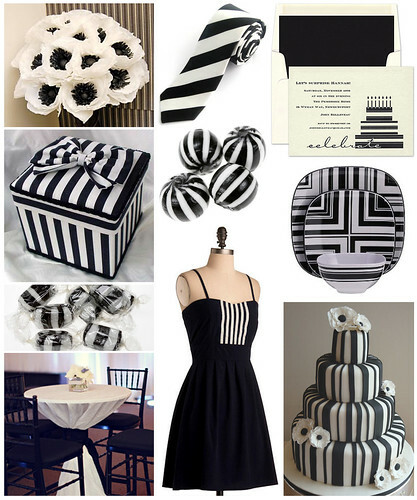 For a birthday soiree that is chic and fun, choose black and white stripes. Add anemone flowers to the decor for extra flair and a touch of femininity.